Promoting China's cultural soft power by disseminating modern Chinese values is one of the policies of President Xi Jinping. Although, it is usually understood as a top-down initiative, implemented willingly or unwillingly by writers, filmmakers, artists, and so on, and often manifesting itself in clumsy and awkward ways, for example, the concept of "the Chinese dream," intended to rival and perhaps appeal more strongly than "the American dream," modern Chinese values are in fact put forward in many ways by many different cultural actors. 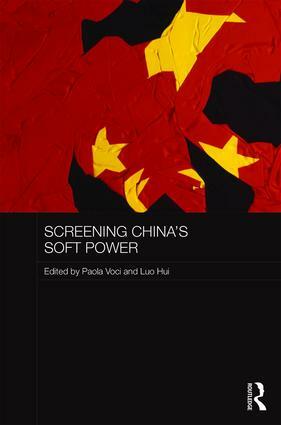 Through analyses of film festivals, CCTV, Confucius Institutes, auteurs, blockbusters, reality TV, and online digital cultures, this book exposes the limitations of China's officially promoted soft power in both conception and practice, and proposes a pluralistic approach to understanding Chinese soft power in local, regional, and transnational contexts. As such, the book demonstrates the limitations of existing theories of soft power, and argues that the US-derived concept of soft power can benefit from being examined from a China perspective. A compelling collection, the book is a must read for scholars interested in an ongoing debate concerning the complex relationship between global Chinese media and the propagation of Chinese culture, state and grassroots, top-down or bottom up. Ying Zhu, author of "Two Billion Eyes: The Story of China Central Television"
Paola Voci is an Associate Professor in the Department of Languages and Cultures at the University of Otago. Luo Hui is a Lecturer in Chinese Studies in the School of Languages and Cultures at the Victoria University of Wellington.